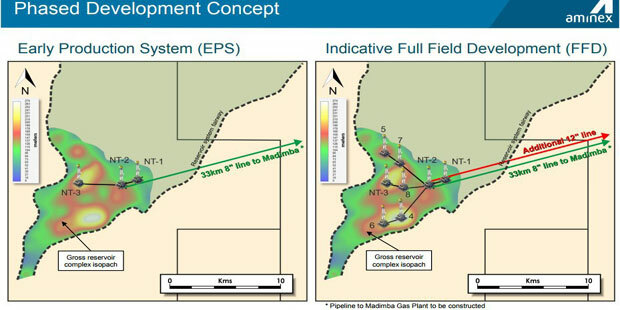 Aminex Corp, the London listed junior who is a leading gas producer in Tanzania, has revealed discussions with Eclipse Investments regarding a possible farm out of part of its interest in the Ntorya Appraisal Area. Eclipse is a wholly-owned subsidiary of the Zubair Corporation and is Aminex’ largest shareholder. The Zubair Corporation is one of Oman’s leading business groups. THE AFRICAN DEVELOPMENT Fund (ADF) is opening up intra continental trade links with the provision of loans for road infrastructure connecting different countries in the different regions of Africa. Close to a $l00 million will be used to upgrade local road network, as well as strengthen links between Lesotho and South Africa in the south and Guinea and Senegal in the west. Upgrading works on the Likalaneng-Thaba Tseka stretch of the Trans-Maloti highway, a vital link connecting Maseru, Lesotho’s capital city, and the towns of Likalaneng and Thaba Tseka to the seaport of Durban in South Africa, will benefit from a $10.5 Million loan. The road also connects poor rural mountainous areas to the productive lowlands of the country. The project will include the upgrading of 85 km of existing gravel road to a bitumen road standard of a width of 7-metre carriageway and 1.0 meter paved shoulders on either side between Likalaneng and Thaba Tseka. A major highway between Guinea and Senegal will be partly Funded by another $ 85 million loan. The money will pay for road upgrade between Labe in Guinea to Tambacounda in Senegal, opening tip the high agricultural and livestock potential areas in the two countries, and strengthening regional cooperation and economic integration by reducing non-tariff barriers and ‘invisible’ costs. The link will help develop business activities along the corridor and boost the living conditions of local populations, in the view of the ADF. Construction of 385 km of tarred road between Labe and Médina Gounass involves 316 km in Guinean territory and 69 km in Senegalese territory and would also see to the rehabilitation of 89 km of tarred road between Medina Gounass and Tambacounda, while upgrading 190 km of rural roads in the two countries. The money includes a $31 million loan benefiting Senegal and a grant of $54 million in favour of Guinea and the West African Economic and Monetary Commission (UEMOA/WAEMU) to the tune of$ 8.4 million.